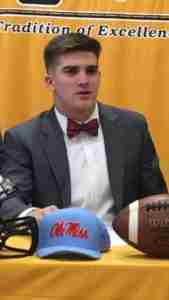 OXFORD, MS – The Ole Miss Rebels just signed the No. 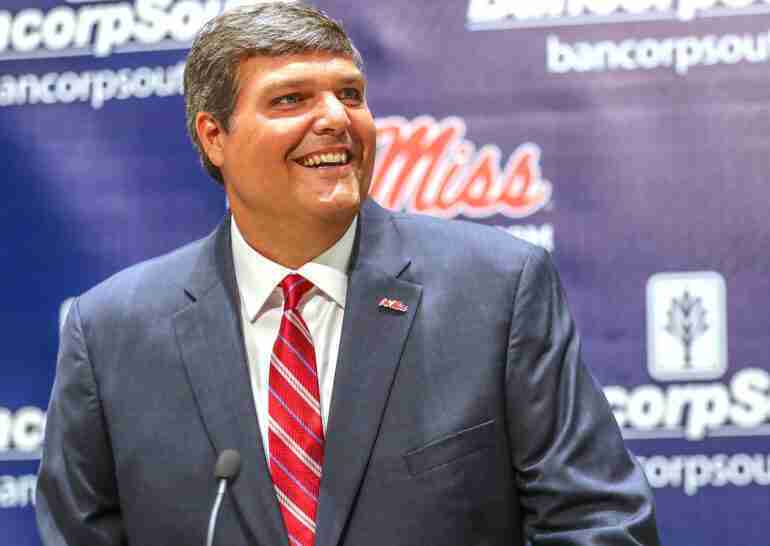 22-ranked recruiting class after a fantastic showing on the February 6 National Signing Day that saw head coach Matt Luke and his staff add six players to the 25 who had already signed in December. You can read more about the 25 early signees here. RB Jerrion Ealy signed with Ole Miss Wednesday. He is the No. 3-ranked RB in the nation. Coach Luke cited a huge momentum swing over the past few weeks which helped the Rebels to such a strong finish on Signing Day, including the inking of Jerrion Ealy, the five-star running back (Jackson, Miss.) who is ranked No. 3 at his position in the nation. “We had a very, very good offseason,” Luke began. “There is a commitment to winning from our administration. We went out and signed Mike MacIntyre and Rich Rodriguez; those were two big signees. We were able to hold on to some of our staff members that other schools were trying to come in and take,” he added. “It’s a commitment to winning, and because of that, because there is no more bowl ban, there are no more sanctions, there are no more scholarship restrictions, you can go into a home it gives you a lot of confidence,” Luke said of the Rebels’ recruiting. To start, let’s run down the list of signees and fill you in on the positions in which Ole Miss made huge gains throughout this recruiting cycle. Ole Miss and the staff did a really, really good job with the six February signees. While the Rebs might have missed out on a few players in December, they hit a home run in February. They filled needs at key spots such as the linebacker and defensive line positions with some very talented players. “I think that going into this second signing period, it was important that we got a pass rusher, a D-Tackle, and a linebacker. We were able to hit on all three of those,” Coach Luke said. Overall, the Mississippi native head coach seemed to be very pleased with the direction the final signing day pointed his program towards. From the eyes of scouts, LeDarrius seems to be the perfect big man to be placed right in the middle of Mike MacIntyre’s 3-man front. The strong based, quick footed Alabama native was committed to Tennessee for around 10 months before he decided to flip his allegiance to the Rebels in Oxford, Mississippi. The defensive tackle group, as of right now, is looking like it could be a stud-filled room this upcoming fall. 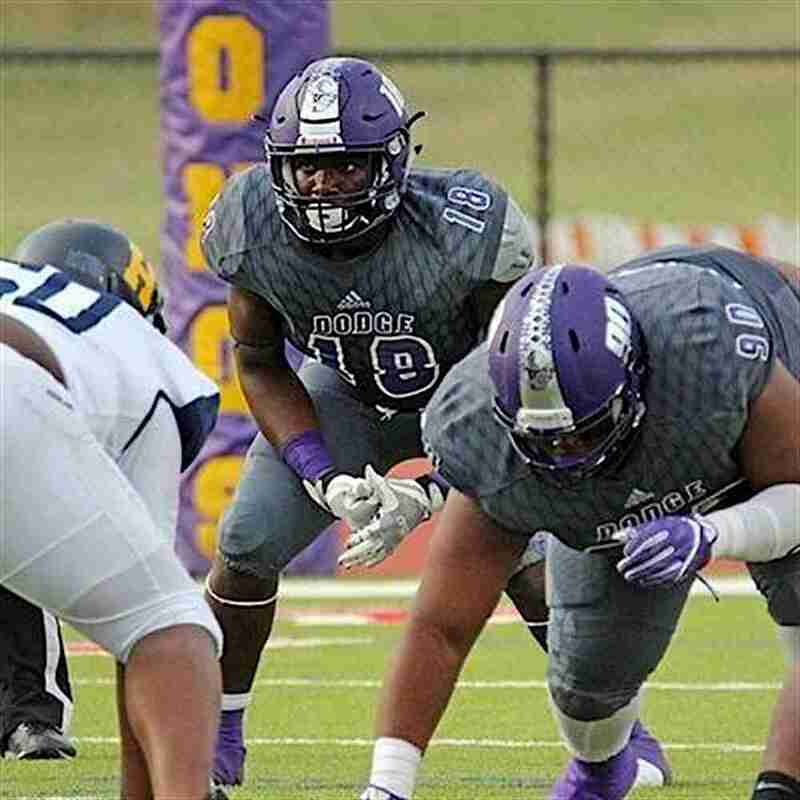 Cox, along with Patrick Lucas (Another 2019 DT), will join three DT signees from last year to help give the interior of the defensive line some really solid and versatile depth. The nation’s No. 3 running back and No. 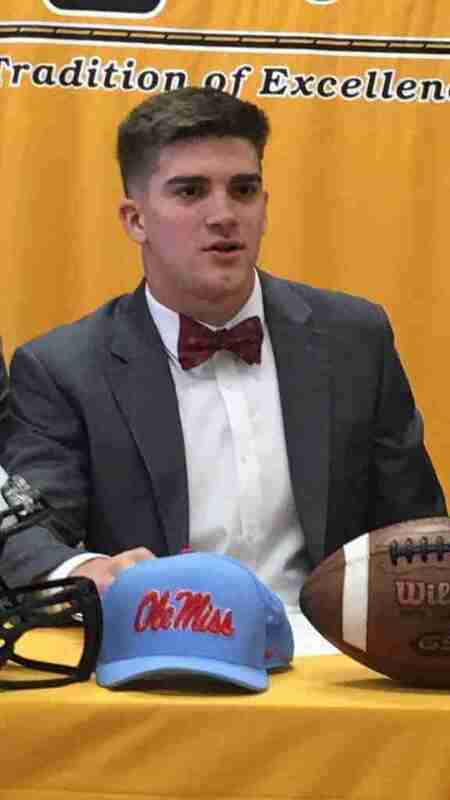 2-ranked player in the state of Mississippi has signed his national letter of intent with Ole Miss. The five-star prospect out of Jackson Prep High School took official visits to Ole Miss, Mississippi State, Clemson, and Alabama over the last several weeks. Though he had been committed to the Rebels for quite some time, Ealy de-committed from Ole Miss in January and took an official visit to Clemson. In the end, however, the Rebels prevailed for this massive talent. Linebacker Lakia Henry is the No. 1-ranked JUCO middle linebacker in the country. At one of the biggest positions of need for the Ole Miss Rebels, the Georgia native came through late in the cycle to sign with the Mike MacIntyre defense with hopes of making an immediate impact on the field this coming fall. While many expected the highly touted linebacker to sign with the Arkansas Razorbacks, Henry shocked most experts and instead went with Ole Miss. The big pass rusher out of the Yellowhammer state filled yet another position of need for Mike MacIntyre and his defensive staff. After giving his verbal commitment to the Rebels near the end of 2018, Mack stayed true to his word and signed his NLI with the University of Mississippi. Mack will hope to join the Rebels this upcoming spring and provide an immediate competition with the other defensive ends currently inhabiting the Ole Miss roster. Mack signed with Ole Miss after choosing the Rebels over offers from LSU, Mississippi State, Louisville and Memphis, among others. The #MississippiMade movement continued to show dividends in February as one of the most important pieces in the Rebels’ 2019 class stayed true to his commitment–despite the rumors of possible flip to Mississippi State or Georgia. The talented product out of Brandon High School also had offers from from Florida State, Arkansas, Auburn, Notre Dame, Oregon, Southern Miss, South Alabama, Memphis, Louisiana Tech and Louisiana. 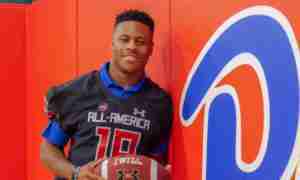 From this writer’s perspective, Mingo has the kind of size and talent to be an A.J. Brown-type of wide receiver. He has the physical presence to win anywhere on the field no matter the matchup. Rebel fans should get really excited for this member of the “Nasty Wide Outs”. 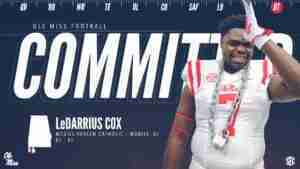 Monday evening, the Rebels and their offensive coordinator, Rich Rodriguez, were able to get yet another 2-sport star athlete to commit to their program for the 2019 class. His signature was soon to follow just 36 hours later and both the Ole Miss football and baseball teams got a high-quality athlete that will surely make an impact in both sports. The dual-threat QB out of Hattiesburg is highly regarded by the new offensive coordinator who sees great potential in the young athlete’s skills behind center. At Oak Grove High School, Plumlee amassed an impressive 4,303 yards of total offense and 52 touchdowns just last season. In doing that, he was able to lead his squad to an impressive 12-2 record on the season. To put it simply, Ole Miss fans should come out of this recruiting cycle quite pleased. The way the Rebels were able to close speaks volumes for the coaching staff and program.